Paul Duda, a fourth generation Clevelander and an owner and artist of galleries in Brecksville and Tremont, has donated the use of his artwork to help elevate and distinguish the new website as representing NE Ohio. Paul’s skyline images of Cleveland and Akron adorn several headers throughout the website. 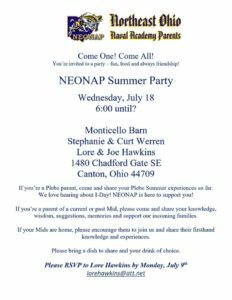 “Paul has been very responsive and enthusiastic about portraying NE Ohio and helping NEONAP.” – Jack K.